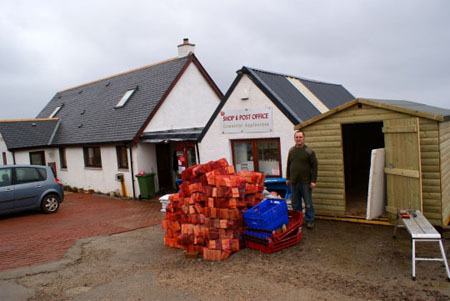 If you are holidaying here and staying in one of the self catering cottages, you may think that, because of Applecross's remoteness, you will have to bring all your food with you but nothing could be further from the truth. Seonag and Alaster's village shop in Camusteel stocks everything you would expect to find in a village shop - and more. As well as the usual newspapers, postcards, souvenirs and gifts there is a wide range of fresh fruit and vegetables, groceries, wines and spirits, frozen food and sundry items. If they don't stock it, they will order it for you. The owners' aim is to provide as good a range of products and services as they can. This has been acknowledged by The Countryside Alliance when the shop was awarded the Village Shop-Post Office accolade in 2012. 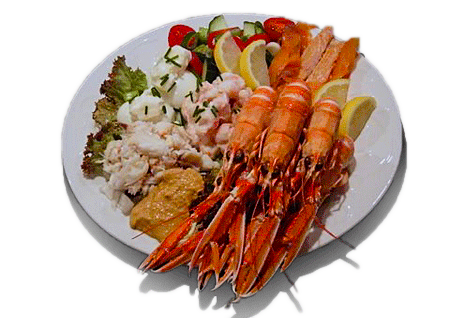 A wide variety of locally caught shellfish, including langoustines, prawns and squat lobsters, is available locally. 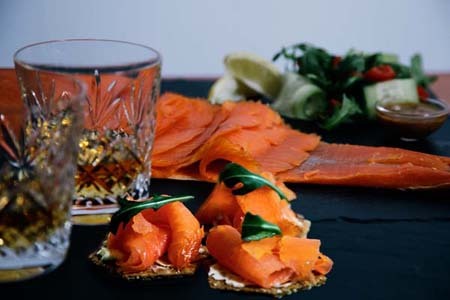 Applecross Smokehouse in Kenmore, produces a range of gourmet smoked seafood including cold smoked salmon and sea trout, hot smoked and hot roasted salmon and sea trout, smoked mussels, scallops and cheeses. 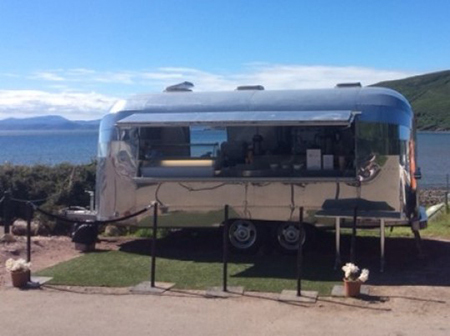 This retro-inspired food truck, which sits outside the Applecross Inn, provides a take away option for locals and visitors alike. The take away menu range is simple but inspired by experience and customers thoughts. You can enjoy the Inn's famous fish and chips, Aron's award winning 'Applecross Ices' and a range of freshly ground 'Isle of Skye Roasters' coffees, cakes and soft drinks. Locally grown, seasonal, vegetables are avalable at the monthly Producers' Market and Kenneth Morrison, the Gairloch butcher, and three fish vans offering fresh fish from the east coast visit weekly.